JSC Result 2018 All Education board: JSC result 2018 means Junior School Certificate (JSC) Result 2018. On the other hand JDC Result 2018 means Junior Dakhil Certificate (JDC) result 2018. On this post I will provide you all the necessary tips about some better way to get JSC Result 2018 easy. JSC result 2018 will be published on 24 December 2018 at 2 PM. JSC Result 2018 will be published by SMS & Online (Education board Website) Method. Students can be also collect their results from their School & Center. But these students who live far away from School/center they can collect their JSC Result 2018 by SMS/Online (Education board Website). When will publish JSC Result 2018: Are You Looking for JSC Result 2018 published date? We will update all information about JSC Exam Result 2018 including JSC Result 2018 published date. Normally Junior School Certificate exam result publishes on the last week of December. JSC Result 2018 will be published on 24 December 2018. On that day at 10 AM Junior School Certificate exam result 2018 will be handed to Honorable prime minister Sheikh Hasina. After that at noon on the Secretariat of Education Ministry JSC Result will be officially published through a press conference. JDC exam result 2018 will be published at the same time. JSC result 2018 will be published through online method on 2:00 PM. These Students who have Desktop/ Laptop/ Smart phone or any other device with internet connection they can check their JSC Result 2018 through Online method. To get JSC Result 2018 through Online students have to visit www.educationboardresults.gov.bd on their phone browser. JSC Result 2018 Online method will be also available on our website en.LekhaporaBD.com. So bookmark our website in your browser by pressing CTRL+D. Select JSC/JDC from Examination Category. Select 2018 from Year category. Select Barisal/Chittagong/Comilla/Dhaka/Dinajpur/Jessore/Rajshahi/Sylhet/Madrasah/Technical/DIBS (Dhaka) from Board Category. Type Your JSC Exam Roll number on the Roll form. Type Your JSC Exam Registration number on the Reg: Roll form. Solve The Math Solving Captcha which will be appearing on the next form. After complete all of the above steps successfully JSC Result 2018 will be appearing. JSC result 2018 will be also published through the SMS method at 2 PM. These students who haven’t any have Desktop/ Laptop/ Smart phone or any other device with internet connection they can use this alternative method to check JSC result 2018. JSC <Space> Your Board Name first 3 Digit <Space> Your Roll Number <Space> Passing Year. Then send The SMS to 16222 number. Everyone tries to get JSC result online from Education board’s common result publish site which is www.educationboardresults.gov.bd . But unfortunately this website’s visitor capacity is Limited. That’s why many people can’t reach to this website. From the before night of any public result publishes date result candidate can’t sleep for the tension of their result. So they suffer a lot to get their JSC exam result from online. In this section I am going to describe some alternative way to get JSC Result 2018. Best Way to Get JSC Result 2018 Quickly. Get JSC Result 2018 form individual education board Official website. Get institution Wise result by EIIN number. Let’s discuss all of the methods in details. Barisal Education board will publish JSC exam result 2018 Barisal board at 12:30 PM on their official website and their official Android App. Barisal Education Board JSC result 2018 website address is www.barisalboard.gov.bd and official android app which name is Barisal board. Students can be easily get their result through the Android app. After download Barisal board Android app students have to open the app. After open the app they have to provide examination, Year and Roll number to the app. After complete these steps JSC exam result 2018 Barisal board will be automatically appear on the mobile phone display. On the same day Barisal Education board office’s 106 number room exam result statistics will be distribute to Journalist. This Year Barisal Education board JSC Candidate was – lakh — thousand—. Among of them male student number was – lakh — thousand — and the female student number was – lakh — thousand—. Total — students passed on the JSC exam. This year Barisal board JSC exam passed rate is — %. Total — students get GPA 5. GPA 5 achieved student percentage is –%. Chittagong Education board will publish JSC exam result 2018 Chittagong board at 12:30 PM on their official website. Chittagong Education Board JSC result 2018 website address is www.bise-ctg.gov.bd . We will update JSC Exam result 2018 Chittagong Board specific link here after published by authority. This Year Chittagong Education board JSC Candidate was – lakh — thousand—. Among of them male student number was – lakh — thousand — and the female student number was – lakh — thousand—. Total — students passed on the JSC exam. This year Chittagong board JSC exam passed rate is — %. Total — students get GPA 5. GPA 5 achieved student percentage is –%. Comilla Education board will publish JSC exam result 2018 Comilla board at 12:30 PM on their official website. Comilla Education Board JSC result 2018 website address is www.comillaboard.gov.bd . We will update JSC Exam result 2018 Comilla Board specific link here after published by authority. 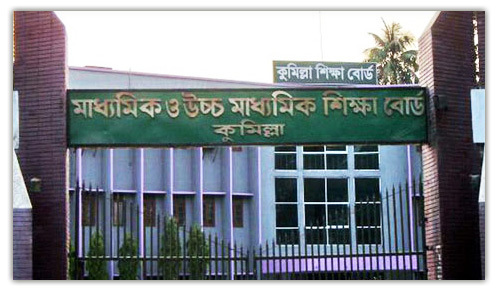 This Year Comilla Education board JSC Candidate was – lakh — thousand—. Among of them male student number was – lakh — thousand — and the female student number was – lakh — thousand—. Total — students passed on the JSC exam. This year Comilla board JSC exam passed rate is — %. Total — students get GPA 5. GPA 5 achieved student percentage is –%. Dhaka Education board will publish JSC exam result 2018 Dhaka board at 12:30 PM on their official website. Dhaka Education Board JSC result 2018 website address is dhakaeducationboard.gov.bd . We will update JSC Exam result 2018 Dhaka Board specific link here after published by authority. This Year Dhaka Education board JSC Candidate was – lakh — thousand—. Among of them male student number was – lakh — thousand — and the female student number was – lakh — thousand—. Total — students passed on the JSC exam. This year Dhaka board JSC exam passed rate is — %. Total — students get GPA 5. GPA 5 achieved student percentage is –%. Dinajpur Education board will publish JSC exam result 2018 Dinajpur board at 12:30 PM on their official website. Dinajpur Education Board JSC result 2018 website address is www.dinajpurboard.gov.bd . We will update JSC Exam result 2018 Dinajpur Board specific link here after published by authority. This Year Dinajpur Education board JSC Candidate was – lakh — thousand—. Among of them male student number was – lakh — thousand — and the female student number was – lakh — thousand—. Total — students passed on the JSC exam. This year Dinajpur board JSC exam passed rate is — %. Total — students get GPA 5. GPA 5 achieved student percentage is –%. Comilla Education board will publish JSC exam result 2018 Jessore board at 12:30 PM on their official website. Jessore Education Board JSC result 2018 website address is www.jessoreboard.gov.bd . We will update JSC Exam result 2018 Jessore Board specific link here after published by authority. This Year Jessore Education board JSC Candidate was – lakh — thousand—. Among of them male student number was – lakh — thousand — and the female student number was – lakh — thousand—. Total — students passed on the JSC exam. This year Jessore board JSC exam passed rate is — %. Total — students get GPA 5. GPA 5 achieved student percentage is –%. Rajshahi Education board will publish JSC exam result 2018 Rajshahi board at 12:30 PM on their official website. Rajshahi Education Board JSC result 2018 website address is www.rajshahieducationboard.gov.bd . We will update JSC Exam result 2018 Rajshahi Board specific link here after published by authority. This Year Rajshahi Education board JSC Candidate was – lakh — thousand—. Among of them male student number was – lakh — thousand — and the female student number was – lakh — thousand—. Total — students passed on the JSC exam. This year Rajshahi board JSC exam passed rate is — %. Total — students get GPA 5. GPA 5 achieved student percentage is –%. Sylhet Education board will publish JSC exam result 2018 Sylhet board at 12:30 PM on their official website and their official Website. Sylhet Education Board JSC result 2018 website address is sylhetboard.gov.bd . Students can be easily get their result through the Official Website. On the same day Sylhet Education board’s JSC exam result statistics will be distribute to Journalist. This Year Sylhet Education board JSC Candidate was – lakh — thousand—. Among of them male student number was – lakh — thousand — and the female student number was – lakh — thousand—. Total — students passed on the JSC exam. This year Sylhet board JSC exam passed rate is — %. Total — students get GPA 5. GPA 5 achieved student percentage is –%. Technical Education board will publish JSC exam result 2018 Technical board at 12:30 PM on their official website. Technical Education Board JSC result 2018 website address is www.bteb.gov.bd . We will update JSC Exam result 2018 Technical Board specific link here after published by authority. This Year Technical Education board JSC Candidate was – lakh — thousand—. Among of them male student number was – lakh — thousand — and the female student number was – lakh — thousand—. Total — students passed on the JSC exam. This year Technical board JSC exam passed rate is — %. Total — students get GPA 5. GPA 5 achieved student percentage is –%. Madrasha Education board will publish JDC exam result 2018 Madrasha board at 12:30 PM on their official website. 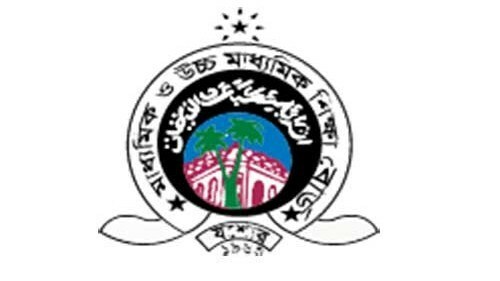 Madrasha Education Board JDC result 2018 website address is www.bteb.gov.bd . We will update JDC Exam result 2018 Madrasha Board specific link here after published by authority. This Year Madrasha Education board JDC Candidate was – lakh — thousand—. Among of them male student number was – Lakh — thousand — and the female student number was – lakh — thousand—. Total — students passed on the JDC exam. This year Madrasha board JSC exam passed rate is — %. Total — students get GPA 5. GPA 5 achieved student percentage is –%. Junior School Certificate (JSC) exam started from 2010 in Bangladesh for class Eight (8) students of Secondary School and all other equivalent institutions. This year Junior School Certificate & equivalent exam was held for Eighth time. Junior School Certificate & equivalent exam 2018 started from 1st November 2018 and ended on 15 November 2018. JSC & Equivalent exam Routine 2018 was also published on our website. These students who have any confusion about their JSC & Equivalent result 2018 they can board challenge their result. This process is known as JSC re-scrutiny program. This year JSC rescrutiny process 2018 will be going on from 25/12/2018 to 31/01/2018. Details process of JSC re-scrutiny is also available on our site. JSC JDC Scholarship result 2018: JSC & JDC Scholarship result is provided by according to JSC & JDC exam result. Normally JSC & equivalent scholarship result publish within 4-5 month of JSC exam result publish date. This Scholarship result publishes in two categories as like PSC Scholarship result. They are 1) Talent pool Scholarship & 2) General Scholarship. JSC Scholarship result will be available on our website. You can easily download all Education board JSC Scholarship result 2018 in pdf format from our website.